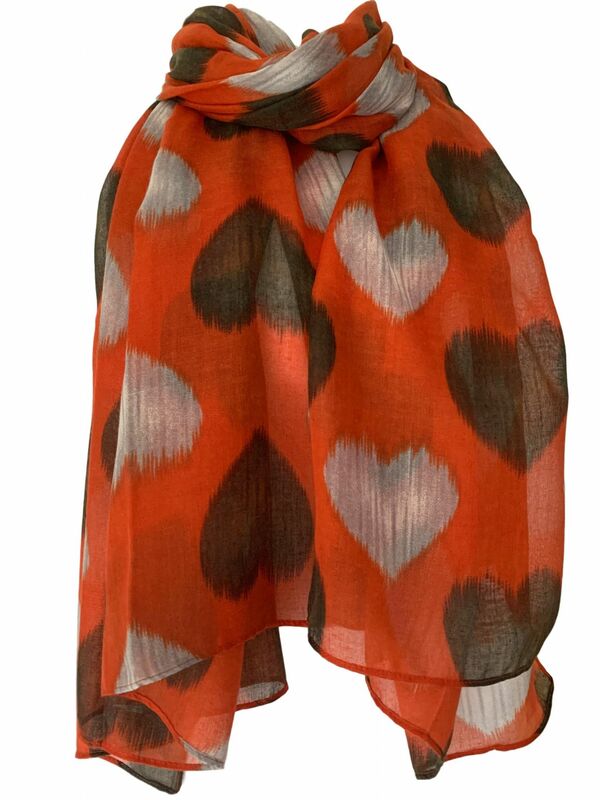 Large orange scarf with a grey and black coloured faded love heart style print. Measurements : approx. 70 inch / 175 cm in length, approx. 42.5 inch / 106 cm wide.